Pioneer Australian neobank Xinja today gives everyday Australians another chance to join the digital banking revolution by purchasing shares through leading equity crowdfunding platform Equitise. The raise – opened early to existing investors, customers and people who had registered interest – has passed the minimum of $500,000 in less than 9 hours. 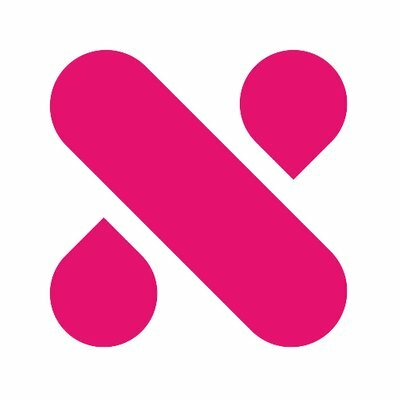 Xinja, a digital neobank designed entirely for mobile, last month received unprecedented expressions of interest when its second equity crowdfund to begin in early 2019 was announced on Equitise. With shares available from today on the Equitise platform, Xinja Chief Executive and founder Eric Wilson said he’s confident there will be early and consistent interest from investors who want to help shake up Australia’s banking system. More than 23,000 people have signed up for the Xinja app and over 9,000 tap-and-go Xinja cards have been issued. The card is in use in 17 countries a day, on average. “A year ago, when Xinja was the first company to launch an equity crowdfunding campaign, we raised more than half a million dollars in less than 18 hours,” Mr Wilson said. “A lot has happened since then. “We can now call ourselves a bank: we have a restricted banking licence, more products in development, and we have the momentum to become partners with thousands more Australians,” he said. Co-founder of leading equity crowdfunding platform Equitise, Jonny Wilkinson, said since the last raise Xinja has continued to receive significant interest from investors, customers and the Australian public. The company was keen to do another raise because it wants to build a bank for its customers, with its customers, which is one of the real advantages of equity crowdfunding. “Xinja hit the ground running with its first equity crowdfund and interest continued to remain strong from previous and new investors who were keen to know when the next raise would be,” Mr Wilkinson said. Xinja will issue shares at $2.04 each, with a minimum parcel of $255 for each investor, with expectations of raising up to $5 million. In 2018, Xinja successfully closed its first crowdfund, reaching its minimum funding goal within 18 hours and raising a total of $2.7 million. This initial crowdfund campaign was pitched at $1.25 a share and added more than 1,220 new investors to the Xinja share register. “Nearly to the day, Xinja has returned for its second raise, gearing up for a hugely exciting 2019 after recently receiving its RADI (restricted authorised deposit-taking institution licence) from the Australian Prudential Regulation Authority. This creates a really exciting investment opportunity for Australians,” Mr Wilkinson said. Mr Wilson said Xinja is now a step closer to delivering real competition in the local banking market. “We are now working towards a full banking license from APRA (in 2019 subject to regulatory approval) we have ambitious plans in place for the years ahead,” he said. “We’re all about making banking easy. We’re about banking technology that more closely resembles what people expect from innovators and disruptors, like Netflix or Uber, as opposed to old-style, bricks and mortar-based banking. Recently, the fintech welcomed neobank pioneer Brett King as a permanent adviser and appointed Tesla senior engineer Thomas Vikstrom to its board. Both men bring high levels of innovation to their thinking. Mr King is a former adviser on banking to the US White House, and launched the world’s first mobile, downloadable bank account with Moven. Xinja prepaid spend and travel card allows customers to try out Xinja with a low commitment product and track their disposable income. Xinja charges zero atm withdrawal fees – domestically and internationally – and refunds 100% of currency conversion fees. The ability to track holiday spend and see both currencies against transactions in the app, plus the app’s instant card lock for security, make it a competitive travel card. Xinja home loans are not available to the public but a beta version has been released to friends and family; Xinja has an ACL (Australian Credit Licence) and plans to roll out home loans to the public in parallel to bank accounts (subject to regulatory approval).